I am happy to introduce Stacey Pepper Schwartz as a new columnist here at Dance Advantage. You may recall that we featured Stacey’s DVD, Up Down & All Around on the blog recently. During our interaction behind the scenes, I was pleased to find (and I think Stacey would agree) that we share similar values and ideas regarding dance education and I invited her to share her considerable knowledge on the blog. I am so proud that she has agreed to add her voice to Dance Advantage. Her Kid Concepts column (say that three times fast!) will appear each month, bringing you Stacey’s insight, tips, and ideas for teaching creative movement for our younger dancers. Please welcome her and be sure to visit Stacey’s Leaping Legs website and her new blog, where she’ll share even more tools and tips! very far apart from each other. Space is where we live and why not start at home which in essence is the beginning. I feel like the studio is like a laboratory of sorts, a place to explore, study, investigate and find answers. I begin by asking my students to notice the space inside their bodies. Feel the space inside your belly when you inhale, filling it with air, and feel the space change when you exhale, sending the air out of your body through your nose or mouth. Now take your attention to other areas of your body: in between your toes, under your armpits, inside your mouth. Now I ask them to take their attention away from their bodies and to notice the space between themselves and the person next to them. Are we close together, or spread apart from each other? 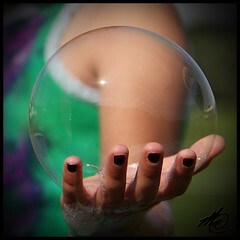 Without moving from your spot reach your hands out and feel the space outside of yourself. Reach high above your body, around your body, under your body. Can you reach with other body parts and explore the space immediately surrounding you? Now it is time to be space explorers, and move through the space. Leave no space unexplored. Can you run, leap, roll and jump through the space. Feel as you move the space lights up around you. Explore above you, below you and all around you. Can you light up the entire space? Can you feel your lungs expanding and contracting? Can you feel the space or silence between the inhale and the exhale? Can you feel your heart beating? No matter what type of dance you teach, be it ballet, modern, jazz, creative movement, hip hop, or belly dancing, space is an element of movement and therefore relevant. It can be used as a tool to explain how to perform steps, perfect alignment and execute routines. The next time you are teaching a dance combination, focus on space and see how it changes the steps. Explore if your explanation of the exercise changes as well. A leap or a pirouette might take on a whole new level of understanding. For example, when leaping, you might encourage your students to focus not only on how stretched their legs are but the space they are stretching through. When performing a pirouette, you might explain that the body is not moving from its spot but touches the space all around itself. Or, have them imagine a crayon attached to the toe, knee or leg that draws a circle around them as they turn. And when choreographing a dance, one tableau can say it all. 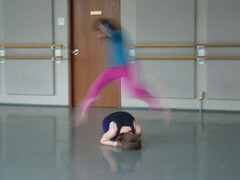 The space between two dancers can evoke such emotion and the space between many, such power. As dancers we choose to define the space, break through it, or make the audience believe it does not exist. But it is always there. When we leave the studio, the stage, or the classroom we do not leave the space. It is always with us in our bodies. It is always around us to explore and it will always be. I tell my students to be aware of space when they are walking down the street, moving through a crowded room and when they are the only ones in a room. Can you get close to another person without touching? How does that feel? How does it feel to be the only person in a room and feel such an enormous space around yourself? Your students don’t have to have dance shoes on to explore how space effects them. And yet when we come to understand space, it can transform our movement experiences inside, outside, through our bodies, and our lives. Stacey Pepper Schwartz is the Founder and Director of Leaping Legs Creative Movement Programs. The focus of Leaping Legs is to help people regardless of age, experience or ability, become educated about their movement potential, develop kinesthetic awareness, and become more physically fit and healthy together as a family, and community. Leaping Legs promotes its goal through its original Up Down & All Around DVD, teacher training, and school and community workshops. The Up Down & All Around DVD received Dr. Toy’s 100 Best Children’s Products 2009 Award and 10 Best Active Products 2009 Award. The DVD has also been featured in many magazines including Dance Teacher and Dance Retailer News. 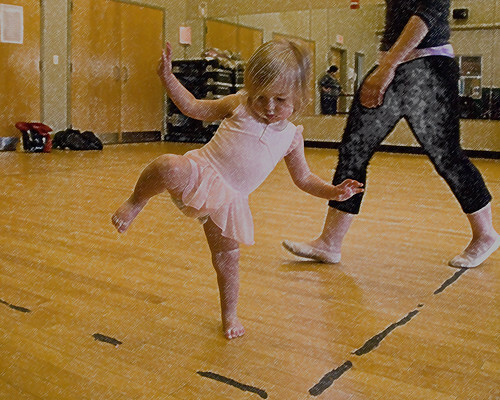 In its August 2009 issue, Dance Teacher called the DVD “an essential tool for teaching the fundamentals of movement with daily adult-child interactions.” Come visit www.leapinglegs.com to learn more about Stacey and her programs. Thanks, Stacey… nice images! So many sentences that incorporate how the dancer feels the space and feels about the space… it’s clear that the movement will be very real and exploratory. Terrific post! I think it is great that you will be sharing your experience with readers here. You have so much to offer! Thank you both for your wonderful feedback on my post! It helps getting feedback and I look forward to writing more articles for Dance Advantage. 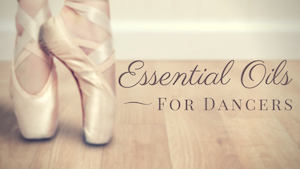 I enjoy delving into the elements of movement and find that exploring these concepts strengthens a dancer’s awareness, technique, composition and performance. It also helps any mover understand his or her body and creates positive change in overall body health and awareness.